Embree Elevator purchases only non-proprietary equipment from open market suppliers. The following is a sample of those suppliers with websites to assist our customers in viewing products we utilize in maintaining their elevator systems. Adams Elevator Alps-Wire Rope Corporation Bucher Hydraulics, Inc. 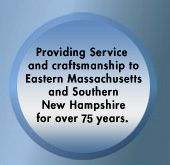 Custom Elevator Manufacturing Co., Inc. Draka Elevator Products Electronic Micro Systems, Inc. Elevator Safety Company Elevator Systems, Inc. EMS Group, Inc.
GAL Manufacturing Corporation Global Tardiff Elevator Gorman Co., Inc.
Monitor Controls Motion Control Engineering Nylube Products Co.
Truxes Co Virginia Controls Wurtec Elevator Products & Services Inc.